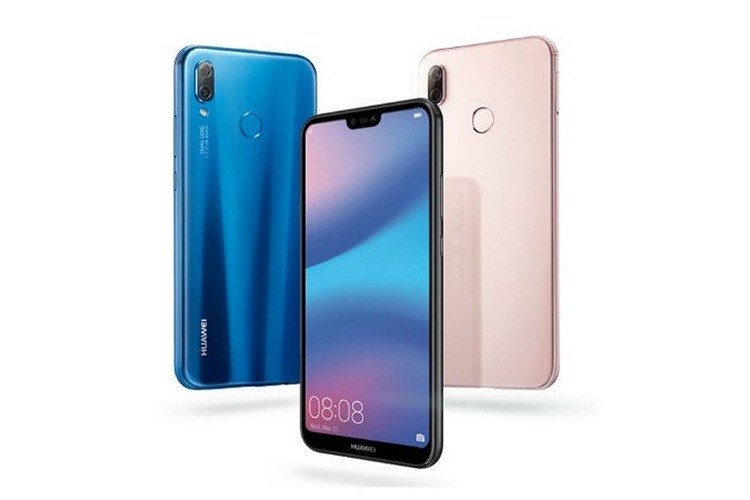 Huawei, along with sub-brand Honor, has been aggressively expanding its portfolio of products in India and has launched some great devices in the mid-range segment. Huawei can also be accredited for bringing the so-called luxuries including notches to the affordable mid-range segment with smartphones such as the Honor 9N. If you’ve been looking to buy yourself a smartphone in this range, a device worthy of your attention is the Huawei P20 Lite. The P20 Lite borrows its looks from the mightier sibling – P20 Pro. The durable glass back gives it a posh appearance while you get one of the greatest LCD displays for the price, and of course, a notch which many smartphone-makers in the mid-range have avoided so far. The cameras on the Huawei P20 Lite also grab your attention very easily. On the back, there is a 16MP+2MP dual camera setup which is used for wide-aperture and bokeh shots. On the front, there is an F2.0 wide-aperture 24-megapixel sensor which also supports iPhone X-like 3D portrait lighting effects. The camera also supports 3D facial recognition and Huawei’s AR effects are what really pleased me on my first encounter with the P20 Lite. On the inside is a Kirin 659 chipset paired with 4GB of RAM. You get a 64GB storage, but there’s an option to add a Micro SD card which can expand the storage to 256GB. Further, there’s a 3,000mAh battery to get things going. The Huawei P20 Lite also gets 3D sound enhancements options while a wired headset is connected. 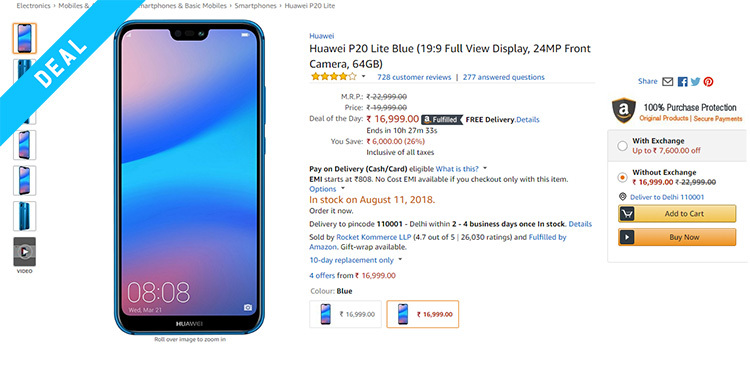 You can get the Huawei P20 Lite in striking Blue and Black colors for a price of Rs 16,999 via Amazon. Additionally, you can get an extra discount of Rs. 1,500 while using SBI credit and debit cards and the option is also available while availing EMI, bring the cost of the P20 Lite down to Rs. 15,499.